These are not little Golden Retrievers! 6. 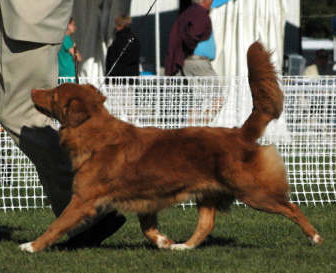 Drive - Tollers are a hunting breed, and are bred to be working dogs. They have a frantic drive to work, and will retrieve until your arm is ready to fall off. 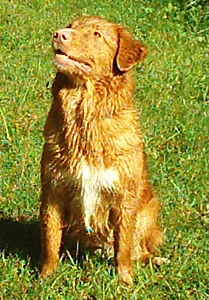 Tendonitis in Toller owners is not unusual. This dog is a retrieving fool who will climb trees to get to a bumper stuck there (we have pictures). 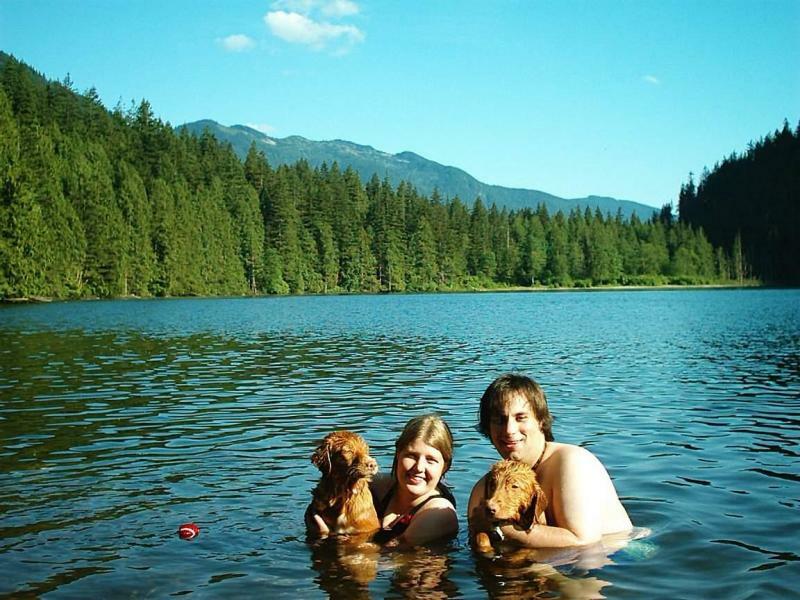 This may sound cute now, but after the 400th throw, you may change your mind. 5. 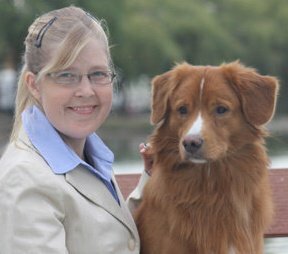 Not Be Everyone's Best Friend - If you are looking for a dog who wants to be the world's best friend, the Toller may not be for you. 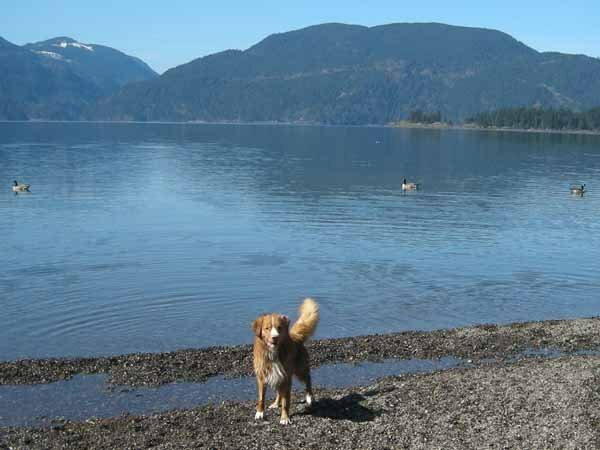 Tollers are gentle and kindly and many can be quite outgoing, but if you are looking for a dog with that Lab "I just met you and you're my best friend" attitude, the Toller may be wrong for your [family]. 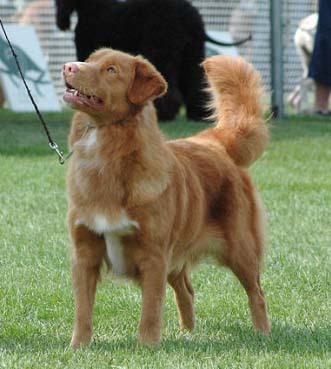 The Toller will greet strangers happily, but generally reserve true enthusiasm for their family and special people. 1. VRooom - The toller is an energetic dog, and needs plenty of exercise. 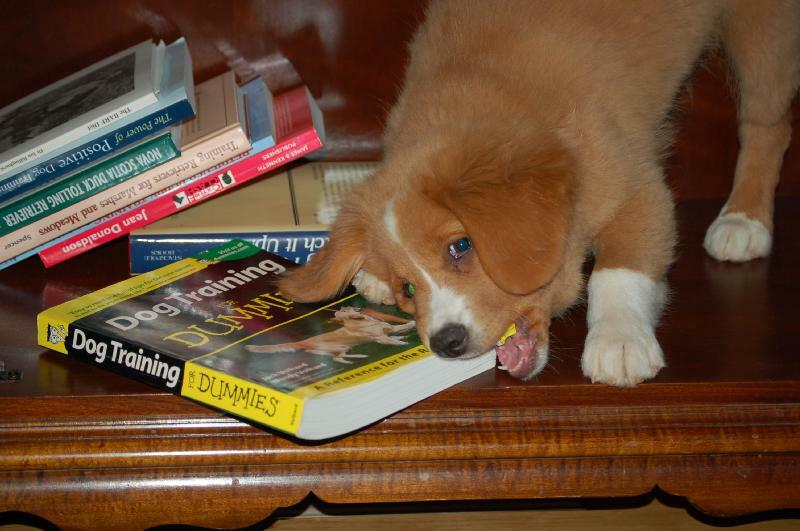 While they aren't quite as hyperactive as some breeds, they do need lots of exercise, physical and mental. 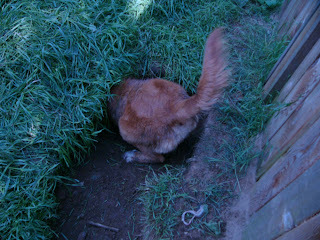 If you are looking for a dog who is content with nothing more than a pleasant walk in the evening, go elsewhere. 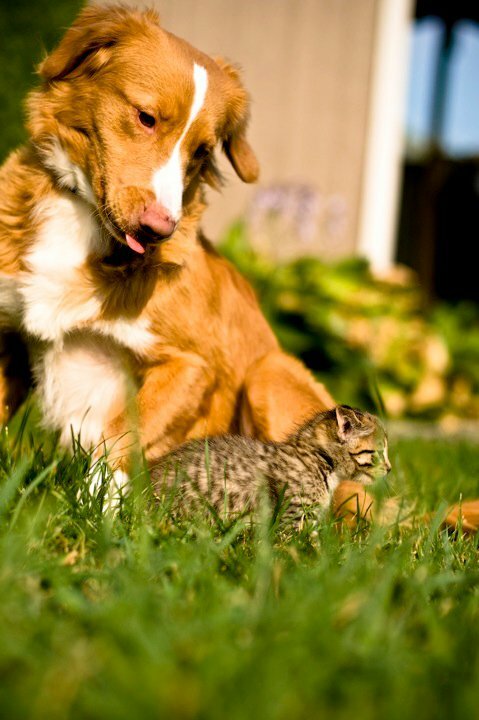 Better behavior through exhaustion is the rule for living with a Toller. If you don't have time to give this breed at least an hour of exercise a day, every day, with plenty of swimming and fetching, look elsewhere. A Toller with excess energy will find another outlet for his drive, and the results are seldom pleasant.